There are numeral social media platforms that can help you market your business online. One of the most effective platforms to use is definitely Twitter. It is a really good idea to make your business a Twitter profile and start using it for marketing purposes. Here are five simple tips to get you started. First, it is really important that you focus on creating a good profile for your business. Use the profile picture carefully. The best image to use is your business logo. Make sure you format the image properly to get everything out of the small space available. You also need to add a location for your business and donâ€™t forget to include your businessâ€™ website. Make sure you personalize the information and make use of SEO across your whole Twitter profile. You also need to start following people on Twitter. Now, it is quite important to carefully select the people that you follow because it can tell a lot about your business. If you find your customers on Twitter then always follow them. You also want to follow your business partners and you should also pay attention to your biggest rivals as well. Twitter will be a good way of seeing what they are doing. It is really important that you keep an eye on the conversations on Twitter. For instance, always reply for messages that are directed to you because it makes your customer service look a lot better. If there are some popular topics that people keep mentioning, it is a good idea to take part in the conversation. This can guarantee that new people notice your profile and it will help make you look like an active user. Twitter is also a good tool to get people to visit your website and blog. It is important that you regularly Tweet something that makes people want to click the link to take you to these locations. It is important to mention new blog posts and website updates on Twitter. So make sure you also provide good, regular content on your blog to ensure you have something exciting to Tweet about. People love offers and discounts and as you know you these are a clever way to attract more customers to buy from your business. It is a good idea to use Twitter for these special offers and promotions as well. 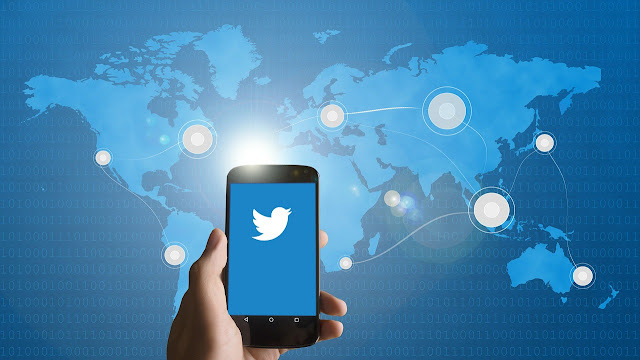 So regularly run a Twitter campaign for special offers only available for your followers or organize a price draw among people who re-tweet your messages, for instance. The above five tips will help you get started with using Twitter for marketing purposes. They are all going to make sure you focus on the right things and make the most out of this great, free marketing tool. Author Bio. - Priya is a Technical SEO at Hopinfirst.com : Digital Marketing Company. She has 3 years’ experience in SEO, content marketing, and campaign management. She’s devoured every scrap of knowledge about search marketing, and applies it daily as Technical SEO at Hopinfirst.